The National Watercolor Society is one of the oldest non-profit artist-led societies in the United States. Our mission - encouraging innovation in watermedia through education, outreach, and exhibitions - promote the advancement of watermedia and inspire the next generation of watermedia artists. Be sure to check out the EXHIBITIONS and VIDEO Tabs. 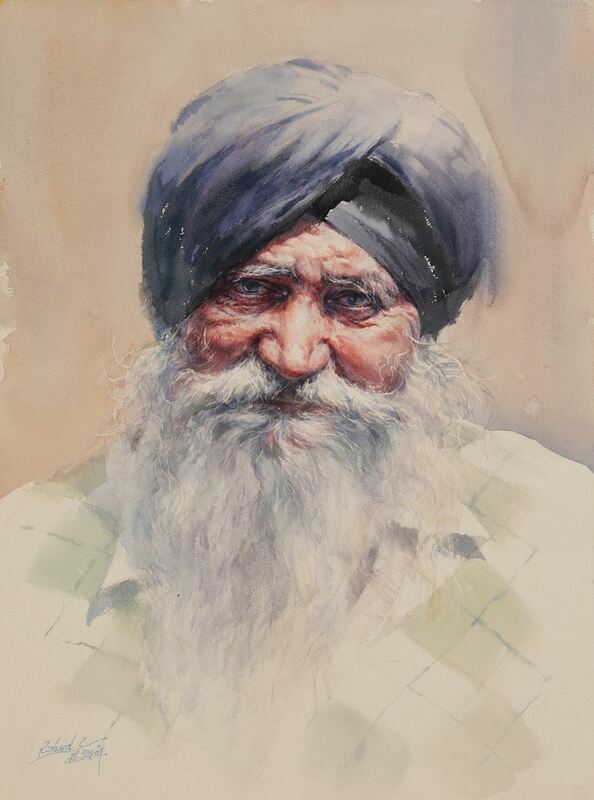 Artwork by Richard Tie-in Chao, "An Old Sikh Man"
All of the awards are given by NWS in honor of our past presidents. NWS Members are eligible for member discounts from our Sponsors! Don't forget to check the Member Discounts page for new specials! CLICK HERE for this 45 minute FREE talk. With an exciting vision and a new appreciation for an old art form, the California Water Color Society was founded in 1920. As the country grew, painters found inspiration in the expansive western lands and were, in their way, pioneers of a new spirit. The name of the society has changed twice since that time: first in 1967, to California National Watercolor Society; then in 1975, when the members voted to become simply the National Watercolor Society. We welcome your donation in any amount. You may also use this link to donate to our Annual Exhibition Awards Fund.